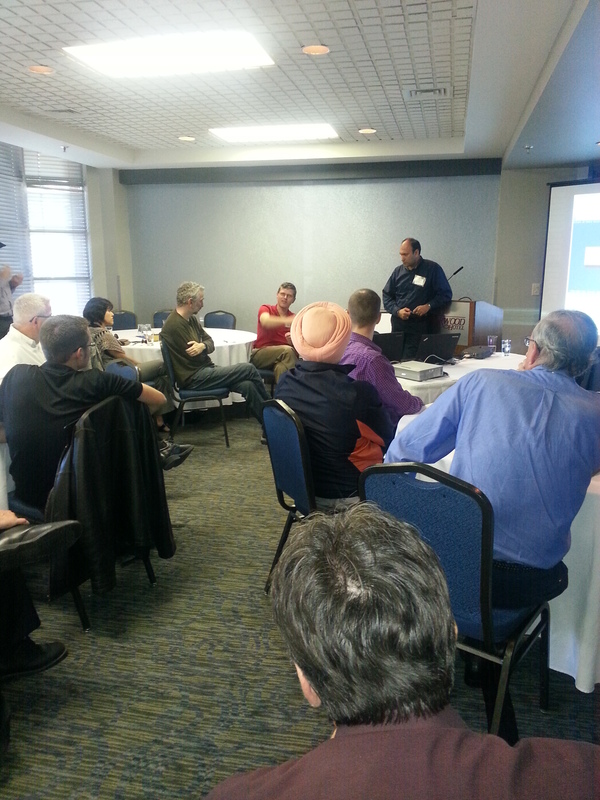 Manitoba Oracle Users Group (MbOUG) | MbOUG is a group of Oracle professionals and enthusiasts centered in and around Winnipeg. Come and see a technical demonstration of Oracle running on NetApp All Flash FAS storage arrays and learn about storage requirements for consolidation to save on licensing. Advance registration is required: Please send an email with your name and professional contact information to: register@mboug.org and specify the session/s you would like to attend. We need to know the count for ordering the lunch and dinner. 25 years of experience in the design, administration, and management of enterprise systems. 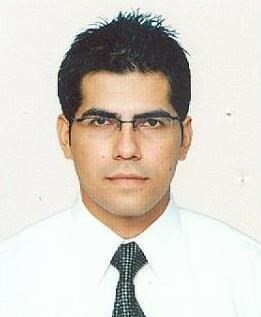 He has written many published papers on database management design and integration with other technologies. At NetApp, he designs integrated solutions for enterprise applications and databases. Before joining NetApp, he designed and delivered storage solutions for SAP, Oracle, and other databases as well as held responsibility for overall architecture and application solution design. Thanks for sponsoring this meeting! 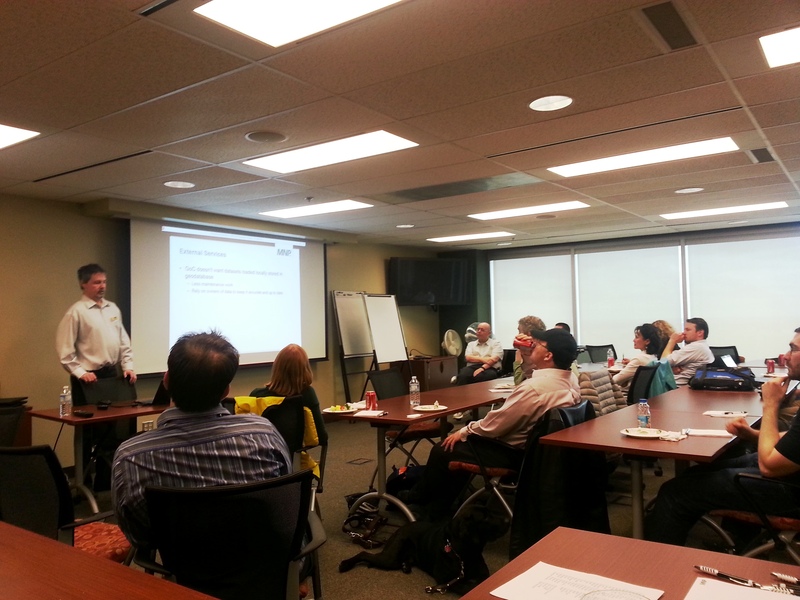 The Manitoba Oracle User Group has scheduled Oracle Ace Director Daniel Morgan to speak in Winnipeg once again so don’t miss out! There are 2 free and open sessions, we highly recommend you take advantage of both of them and pass the invitation to others. Daniel Morgan is an Oracle ACE Director with more than 25 years experience working with Oracle products. Mr. Morgan wrote the Oracle curriculum for the University of Washington, was the program’s primary instructor for 10 years and is the Morgan behind the MorgansLibrary.org website. Daniel Morgan, Principal Adviser at Forsythe Meta7, began his IT career in the early 1970s with Fortran IV on mainframes, spent more than a decade writing COBOL, and moved into relational databases in the mid-1980s focusing primarily on the Oracle database. Morgan brings to each engagement a wide range of industry experience including high technology companies and e-Commerce, telecommunications, finance, aerospace, bio-medical, hospitality, retail, energy, manufacturing and distribution, travel and entertainment, as well as public sector. In addition to his work at the University of Washington Mr. Morgan’s academic credentials include teaching Oracle at Harvard University, guest lectures at the University of Oslo (Norway), University of Canterbury (New Zealand) and as an advisor to the outreach program at the University of California at Berkeley. Mr. Morgan’s core competency is core database. Morgan began his Oracle career coding SQL and PL/SQL, after almost a decade moved into the development and operations DBA role, and over the years expanded his focus to include servers, storage, networking, and their relationship to both stable architecture and Root Cause Analysis. In addition to his work in the US Dan Morgan has worked in Canada, Japan, Mexico, the UK and taught classes and seminars at conferences in Brazil, Bulgaria, Chile, China, Costa Rica, Denmark, Ecuador, Estonia, Finland, Germany, Latvia, Netherlands, New Zealand, Norway, Panama, Peru, Serbia, Sweden, Thailand, United Kingdom, and Uruguay. Your local Oracle User Group, hope to see you there! Thanks to Oracle for sponsoring this meeting! We will have souvenirs and door prizes. This is an excellent opportunity to network with your peers and share the knowledge! Come listen and learn from Oracle Ace Director Daniel Morgan, Oracle Open World Presenter! The event has been split into 2 sessions (8:30-12:00 & 4:30-8:00) to accommodate individuals that cannot make the later session. As part of registration, you can attend one session or even both since they include different presentations. Tell your friends and colleagues but most importantly just come! MbOUG: Come Meet Oracle Ace Director Daniel Morgan! We are very excited to announce that Daniel Morgan, the Oracle Ace Director and author of Morgan’s Library will be visiting Winnipeg on October 23rd. This is a rare opportunity for us to host one of the top Oracle experts in the world. 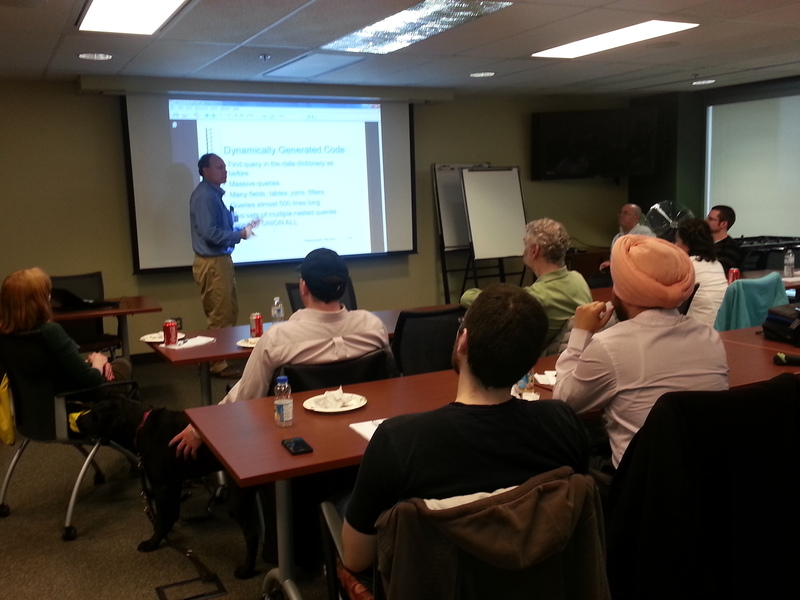 Daniel will present to our users’ group the topics that are of interest to Oracle Developers and DBA’s. MBOUG’s Main Event: October 23, 2014 4:30 in downtown area. The exact agenda, time and location of the event will be posted later. The event is free and refreshment will be provided. This will be our last event before Christmas break, so please use this opportunity and come to learn from one of the brightest minds in the industry. Education: In 2009 Morgan retired from teaching at the University of Washington where he wrote the Oracle program and had been its primary instructor since 1998. In addition to his work at UW he also served as an adviser to the outreach program at the University of California Berkeley, was a consultant on Oracle to Harvard University, and as a guest lecturer at numerous universities including the University of Oslo (Norway), the University of Canterbury (New Zealand), Techologico de Costa Rica, and Universidad Latina de Panama. User Groups: Morgan is a member of the executive boards for the Vancouver and Victoria Oracle Users Groups in Canada, a member of NYOUG, a former Board member of the Western Washington Oracle Users Group, a former Chair of the Washington Software Association’s Database Special Interest Group. He has also been a member of UKOUG, the International Oracle zSeries SIG, the Oracle RAC SIG, and BAARF. Community: Mr. Morgan is a regular contributor at Oracle conferences and forums around the world presenting at conferences including OpenWorld, Collaborate, ODTUG Kaleidoscope, IOUC International Leadership Conference, and has presented or taught Oracle in Brazil, Bulgaria, Canada, Chile, China, Costa Rica, Denmark, Ecuador, Estonia, Finland, Germany, Japan, Latvia, Mexico, the Netherlands, New Zealand, Norway, Panama, Peru, Serbia, Sweden, UK, Uruguay, and the US. Consulting: Currently Morgan focuses his efforts on consulting for Tier 1 enterprise clients in aerospace, telecommunications, e-commerce and the cloud through Performance Tuning Corp. Ask us for Additional Learning Opportunities during the presentation day. 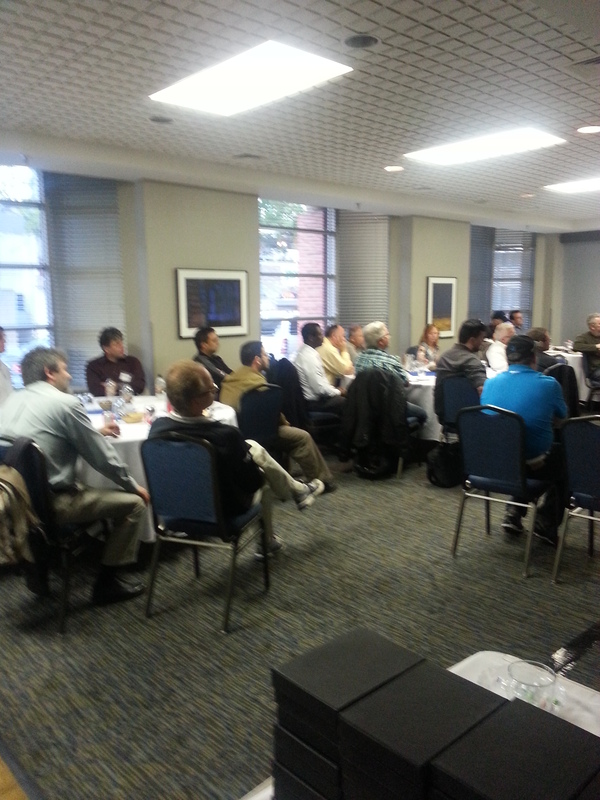 A special thanks to everyone who came out to our “OEM, OVM and Oracle Linux” meeting on Tuesday “Sept. 23” ! We believe it was a great success with fantastic speakers, inspired audience and timely topic ! commitment (both are from Oracle) that made it happen. A big thank you to Nawaz Pasha from networkEARTH,for sharing the sponsorship of the event, and his incredible energy and valuable ideas. And of course the biggest credit goes to the members of our group who could find time in their busy schedules and come to learn and share the knowledge. With over 35 people in attendance and a few more who wished to attend but weren’t able to leave the work (the life of a dba’s and sysadmins) inspired and assured us that we have an energetic and dedicated group of Oracle professionals and who can make the MbOUG a success story. Norwood Hotel (112 Marion St.) – Tache Room and parking is free! Thanks to Oracle and networkEARTH for sponsoring this meeting! Sahil and Nawaz will talk about the advantages of using Oracle Linux and Oracle VM and how they are best suited for Oracle Technology offerings. They will share the Oracle Linux and VM vision and strategy include new/improved features, case studies, and success stories. Sahil’s education background includes Engineering & a Marketing Post graduate. 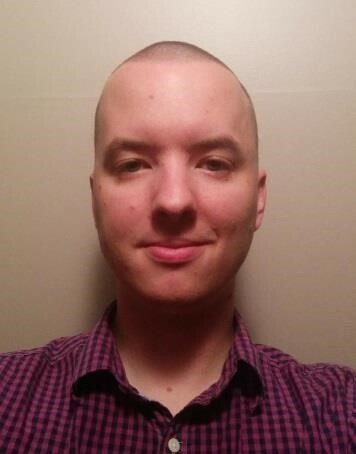 He has been associated with Oracle Linux & VM Support business for 3 years and has been the primary single point of contact for Linux & VM queries across Canada’s for the last three years. He has recently moved into a managerial position and is motived to also manage & promote Oracle’s offerings in parts of central and Eastern US states. On the lighter side, Sahil is a sports enthusiast which includes golfing & occasional workout activities. He also enjoys reading outside of work. 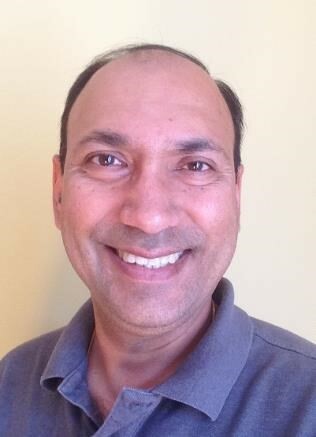 Sundeep will cover the more technical aspects of Oracle Linux & VM and conduct a live demo demonstrating the full integrated life-cycle management of Oracle Linux, Oracle Database and WebLogic using a single OEM12c dashboard. He will showcase the ability to create gold-images which provides compliance, consistency, repeatability, and agility in rolling out environments and business applications. Sundeep Dhall has a Masters from University of Toledo, Ohio and has been in the Chicagoland area since 1990. He has been with Sun and Oracle since 2003 and prior to that worked for Netscape. Communications and AOL from 1997 onward as a delivery consultant on internet enabled solutions. Within Oracle, Sundeep has worked as an embedded solutions architect within the telecommunications space before joining the OL/OVM team as a sales consultant two years ago. His focus over the last ten years has been on optimal & secured deployment architectures for scalable and highly available systems. He has leveraged best practices from Solaris, Linux, Clustering, and Virtualization technologies to build & deploy these solutions. Outside of work, Sundeep enjoys time with his wife and kids and engages in racquetball, back-packing, river-rafting, biking, yoga, and home-remodeling. David’s presentation will showcase his company (MacDon) and share their team’s experience with OEM12c. It will include implementation and configuration successes, challenges, and issues. Most importantly, lessons learned and proposed best practices will shared and discussed as well. David Shirtliff has been with MacDon Industries for two and a half years in the role of Applications and Database Administrator. He joined MacDon after graduating from the University of Manitoba with his B.Sc in computer science. At MacDon David is responsible for maintaining a variety of serverbased applications ranging in depth from Glassfish to JD Edwards, managing Oracle and SQL Server databases, and some Linux administration. David grew up in rural Manitoba, so in his spare time he likes to poke around in the dirt and try to make things grow. He also enjoys biking, slo-pitch, board games, reading comics, hockey, and solving Rubik’s cubes. A special thanks goes out to our meeting sponsors – MNP (www.mnp.ca) and Oracle (www.oracle.com) . Please visit their websites! The second meeting of the group went well. Thank you everyone for attending and supporting the effort to build the Oracle community. We had two exciting presentations which captured the audience’s attention. Oracle Spatial and GIS by Steve MacLean (steve.maclean@mnp.ca) served up an amazing demonstration on his latest project, A Web Mapping Application. Steve described the conceptual model of the web mapping solution that utilizes Oracle Spatial and ESRI’s ArcGIS platform. The application is built to consume data services from many different sources including BING and other web mapping services, which is dynamically chosen based on the user interface selections from the presenting web page. Steve efficiently demonstrated the fascinating functionality on how the application can rapidly serve up maps of GPS coordinates or text driven locations and overlay that location based on time. Please check out with Steve if you to find out more information. 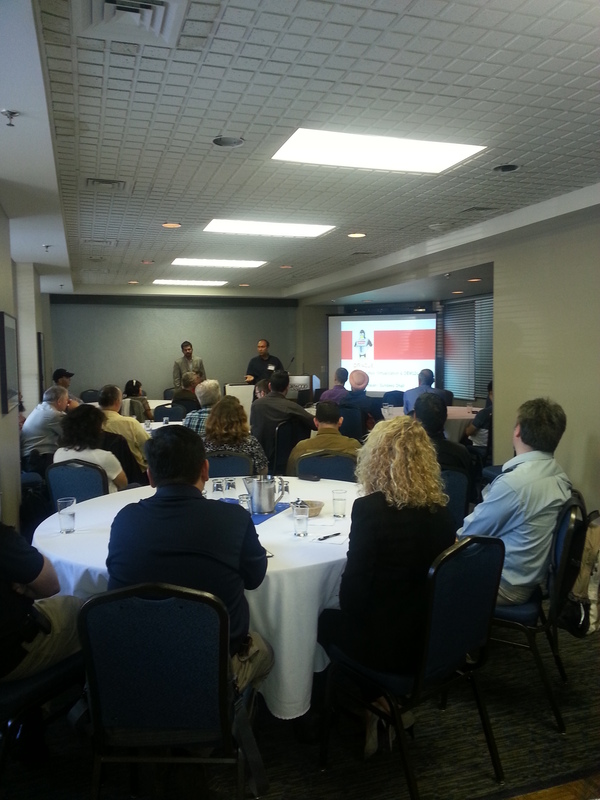 Welcome to the Manitoba Oracle Users Group! Parking is available on many of the nearby downtown streets which is most likely free after 5:30. If you prefer a parkades, there are quite a few within a 3-5 minute walk. 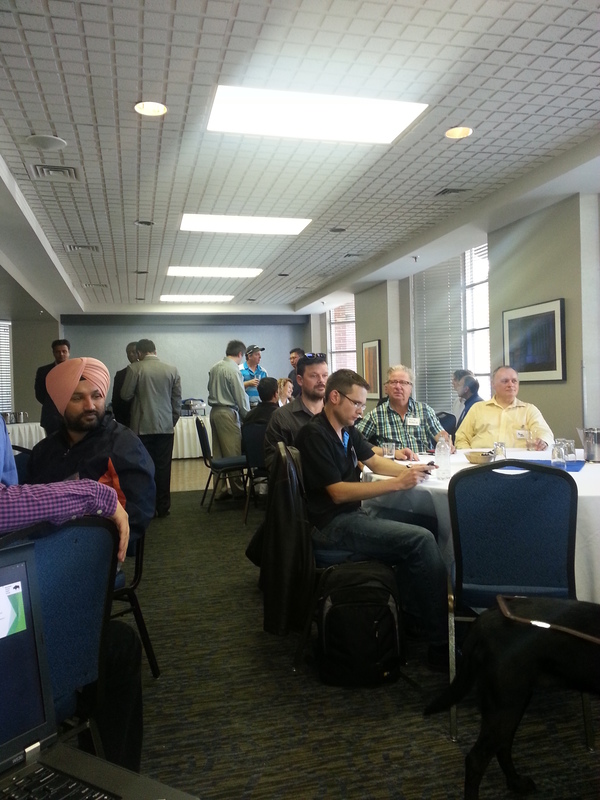 Thanks to MNP LLP and Oracle Canada for sponsoring this meeting! 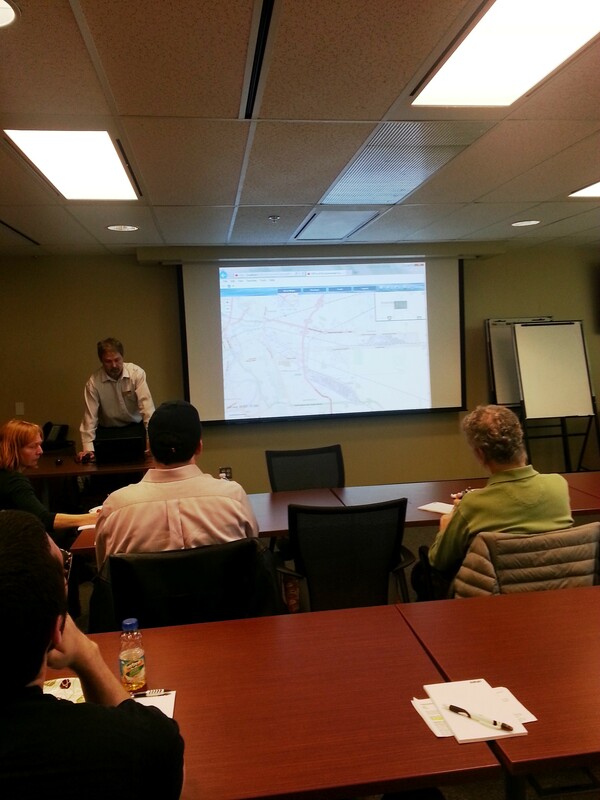 Steve will talk about his experience implementing the Web Mapping Applications and Web Mapping Services. He will discuss a conceptual model of the web mapping solution, a data model for the web mapping solution and a spatial data management strategy to support the web mapping solution. 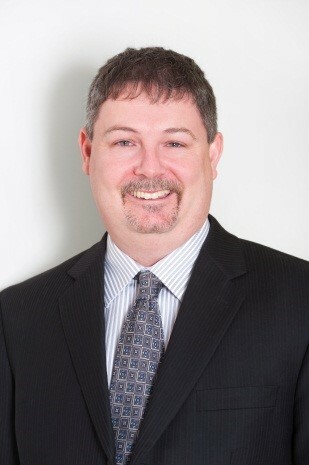 Steve MacLean is a senior technology professional with an over 18 years of experience. His expertise includes; GIS systems implementation, project management, software architecture, application design, development, software testing, and deployment. This presentation presents tips and tricks regarding Oracle SQL performance whether it applies to selects, inserts, updates, deletes. Since are so many factors in tuning queries, it is difficult to assess and apply the best techniques and patterns to get the optimal performance. Rodger Lepinsky grew up in Winnipeg, and earned Bachelor’s degrees from the Asper School of Business, and University of Winnipeg’s Applied Computer Science program. Working with databases since Oracle version 7 in 1995, he has worked in the roles of: Database Architecture/Design, Development, Warehousing, Tuning, Database and Unix Administration. Some of his assignments have been at the largest financial companies in the USA: Fidelity, Wellington Management, Bank of America, and Western Asset Management. To add to his resume he passed the Chartered Financial Analyst (CFA) Level 1 exam in 2007. Rodger places a huge emphasis on quality, and has built systems that required no updates. Recently, Rodger has been increasing his skill sets in: OBIEE, Oracle Apps R12 and MYSQL. In the Data Science and Big Data area, he has been learning java, R statistics software (Matlab), and graph databases. In his research, he has solved many technical issues with Oracle and other products, and many of his blog posts continue to rise to the top of the internet search rankings. To stay informed of future events, join the MbOUG events and jobs email lists by emailing your contact information to register@mboug.